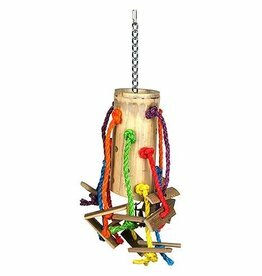 A variety of wooden, rope and plastic toys for cage birds. 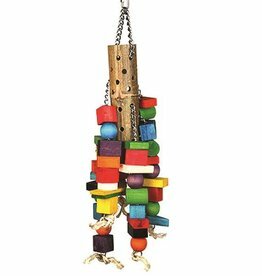 Made with 100% natural wood, leather, corn and rope pieces, the Playtime range helps to stimulate natural chewing, foraging instincts and helps prevent unwanted feather plucking. 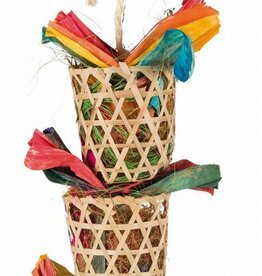 Bird Toy made only from 100% natural materials like bamboo, corn leaf and abaca. Hand made using earth kind, renewable and recycled materials. 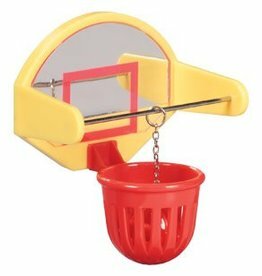 The Birdie Basketball activitoy is a fun new toy that will stimulate birds both physically and mentally. 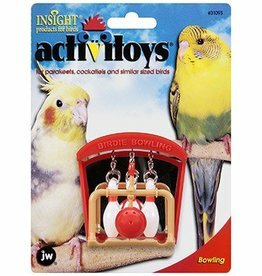 Your pet bird will be bowled over with all the stimulation and exercise he enjoys with the JW Birdie Bowling toy. 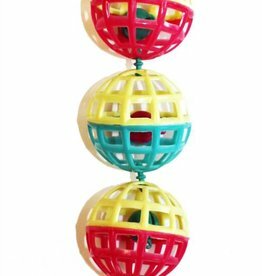 Birdy Buoy Bird Toy. 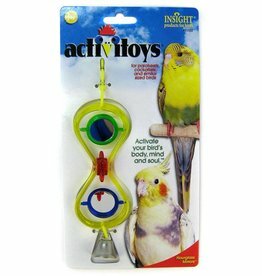 Superb Quality Colourful, plastic budgie toys. With a bell and in a traditional 'bounce back' style. Rosewood Boredom Breaker Round Mirror. 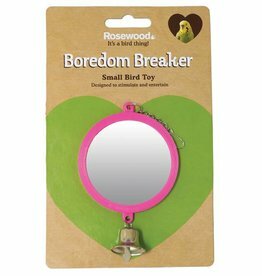 This Mirror is 3" in diameter, and is suitable for Budgies and Canaries. 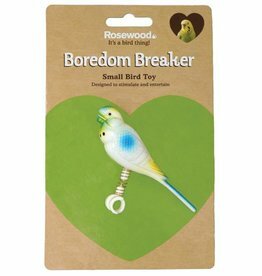 Rosewood Boredom Breaker Bird Toys are good quality, sensibly priced toys. 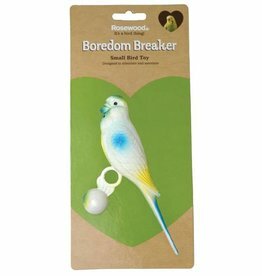 This Rosewood lifesize Budgie is the ideal low maintenance 'companion' for your Pet Budgie or Canary. 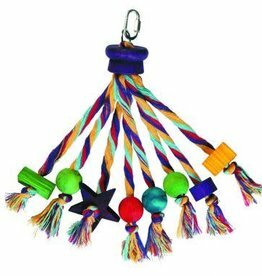 Made from rope and wood, Carnival parrot toys are ideal for encouraging natural chewing, shredding and playing as well as helping to prevent unwanted feather plucking. Let small birds have Fun at the Fair with the 7 Step Ladder and keep them happy for hours. 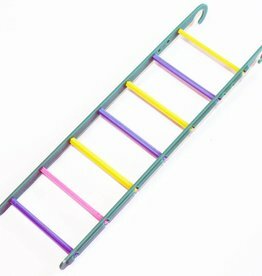 Made from durable plastic, this funky 7 step ladder keeps your bird active and able to explore all the different levels of their enclosure. 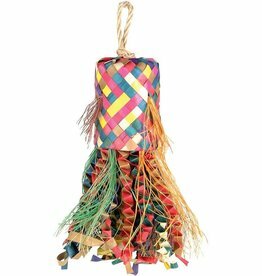 The Rosewood Large Geometric Solid Chain Parrot Toy is made from durable, soft vinyl in an assortment of shapes and colours. 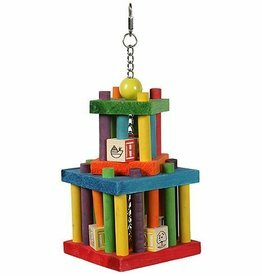 Medium size for parrots/cockatiels. 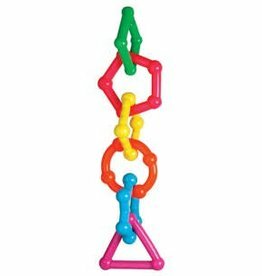 The Rosewood Geometric Solid Chain Parrot Toy is made from durable, soft vinyl in an assortment of shapes and colours. Medium size for parrots/cockatiels. 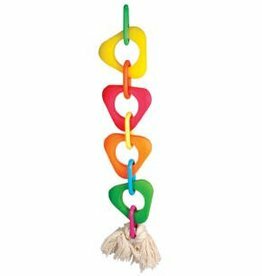 The Rosewood Large Geometric Solid Chain Parrot Toy is made from durable, soft vinyl in an assortment of shapes and colours. 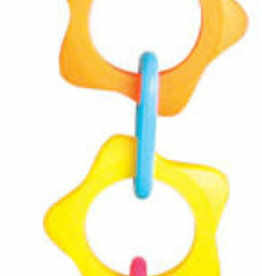 Hour Glass Mirror Activitoy is a translucent multi coloured hourglass hanging toy with mirrors. Great size for parakeets, cockatiels and other small parrots. 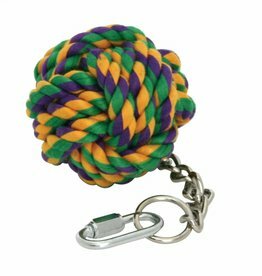 Made from rope, the Nuts for Knots ball on a chain, is ideal for encouraging natural chewing, shredding and playing instincts as well as helping to prevent unwanted feather plucking. 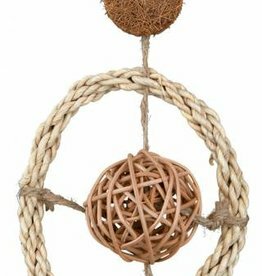 A mixture of wicker, coconut fibres and wood, with a wooden hook, for easy attachment to your pet's cage. 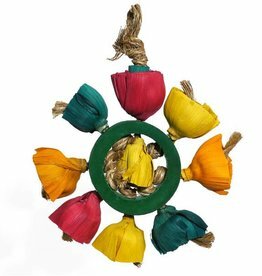 Trixie Natural Bird Toy on a Sisal Rope, Palm Leaf & Husk 35cm. Natural Toy on a Sisal Rope. With palm leaf and husk. 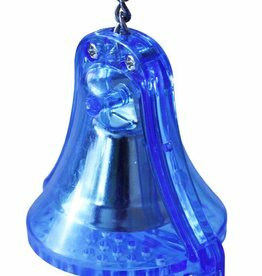 This toy has a hook to allow it to be hung in your pets cage. 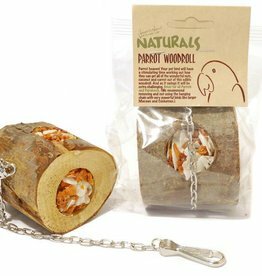 The Rosewood Natural Parrot Woodroll is an edible roll of natural wood filled with nuts, carrot and coconut. A rope bridge perch with 3 carabiners to hang from the birdcage. 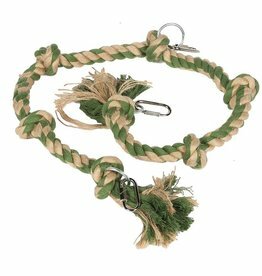 Natural, shreddable toy, great for birds that over preen.